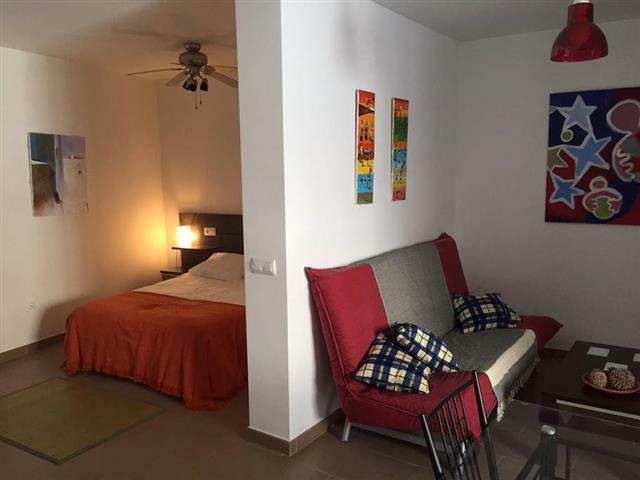 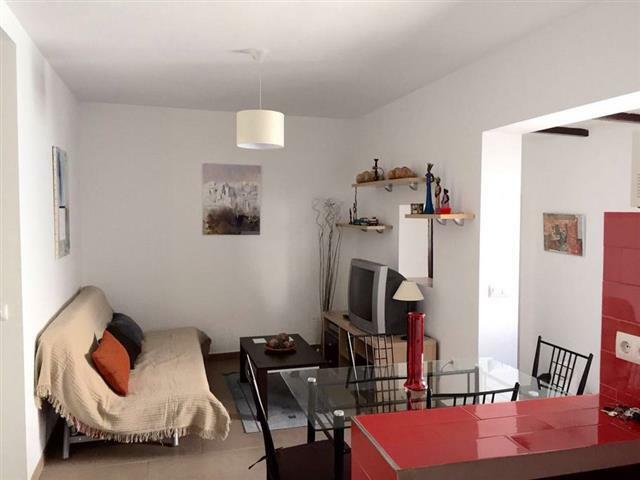 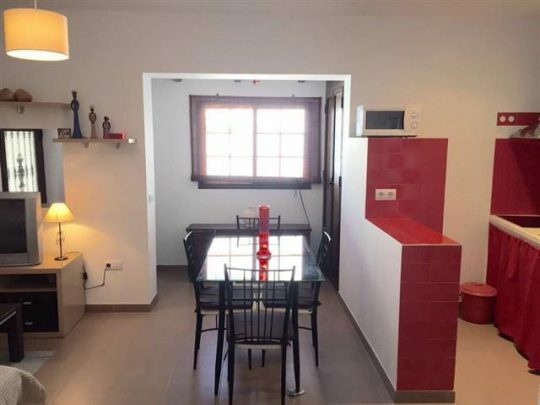 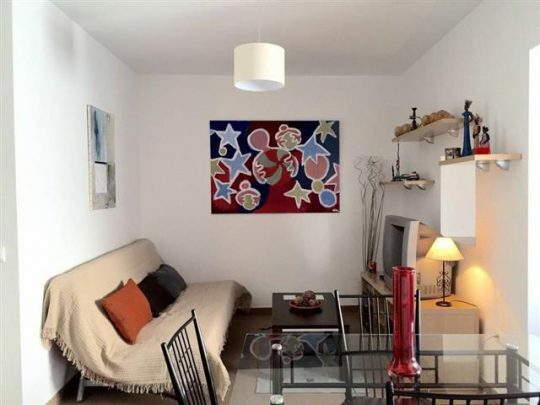 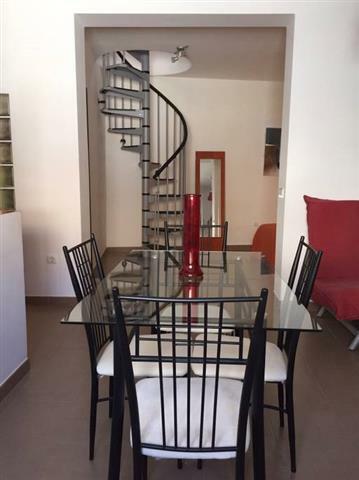 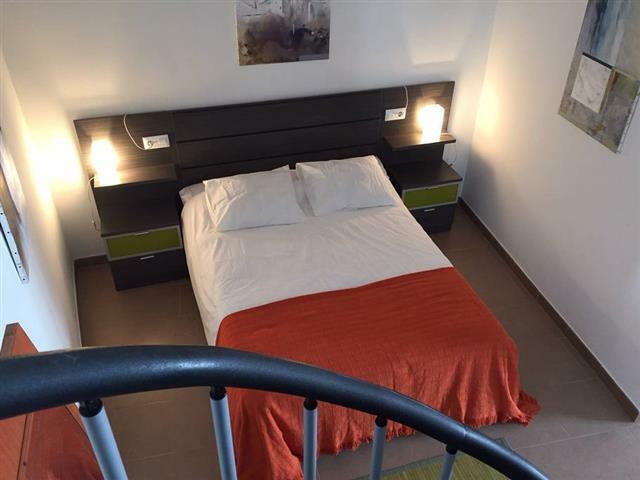 A strikingly modern 1 bedroom apartment with a large roof terrace located in the medieval jewish quarter of Vejer and entered through a traditional andaluz patio. 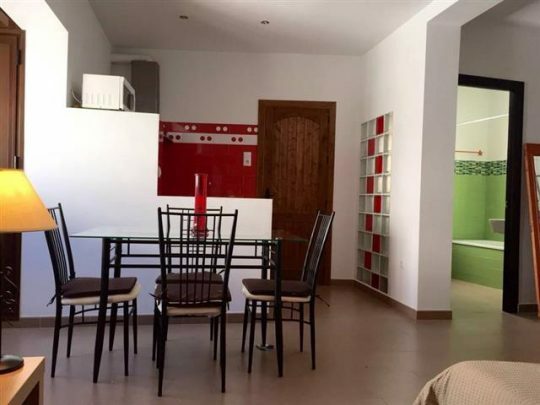 Casa Juderia can be rented with Apartamento Diego for larger groups which is located in the same patio and has an adjoining lockable door. 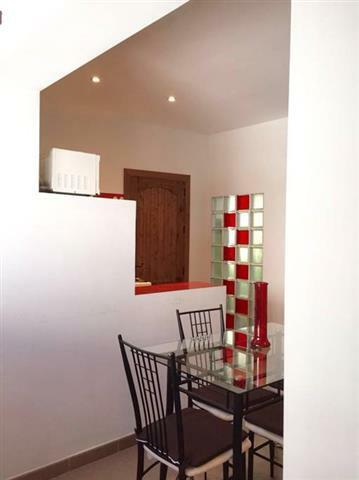 The apartment has every modern convenience and is incredibly light and airy. 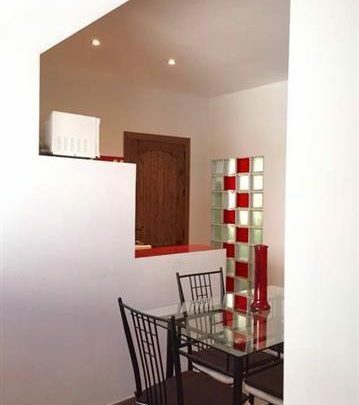 There is an open plan living area with TV and DVD, dining table and chairs for 4 people and a fully equipped kitchen. 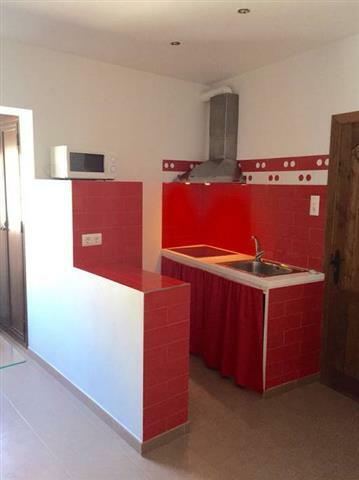 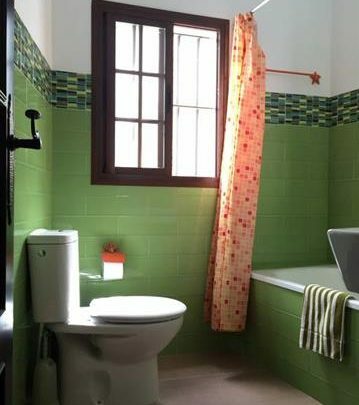 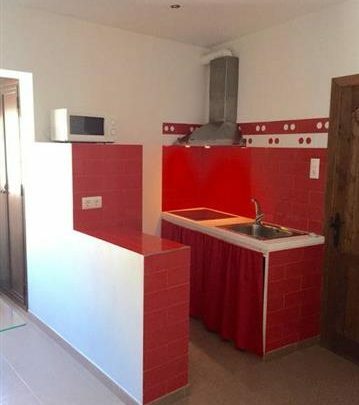 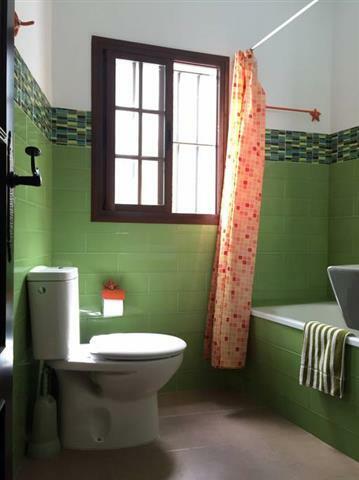 There is a fully tiled bathroom with bath and overhead shower. 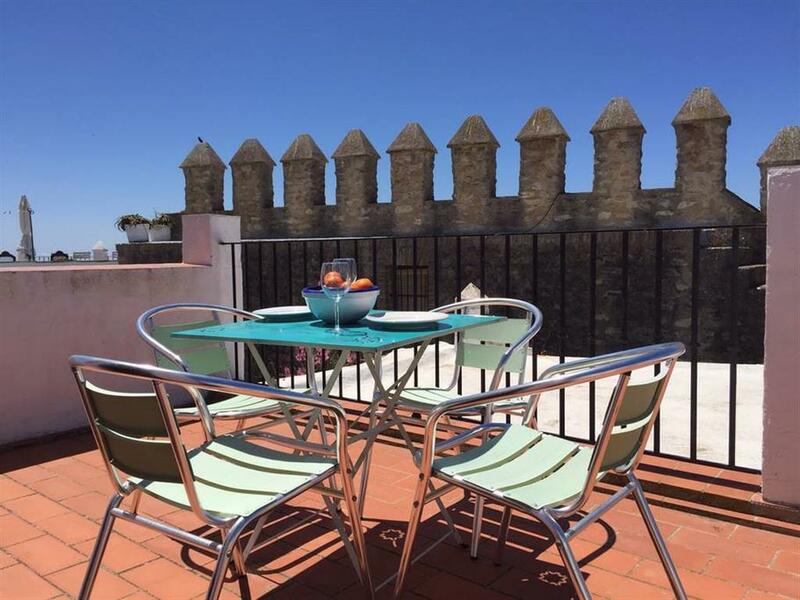 Leading off of this is the bedroom and spiral staircase up to the utility area and roof terrace which has views of the town, the ramparts of the castle walls and distant views of Morocco. 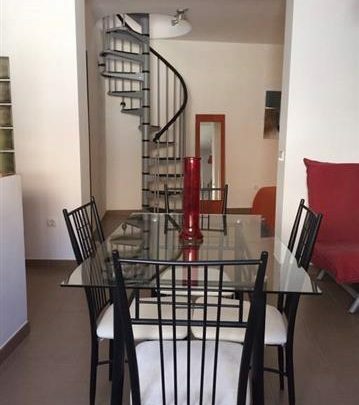 Prices from 300 to 560 euros per week.